This is a cool invention. A dirty secret about the eye glass industry is how loose the tolerances are in the lenses and in the measuring of your eye. 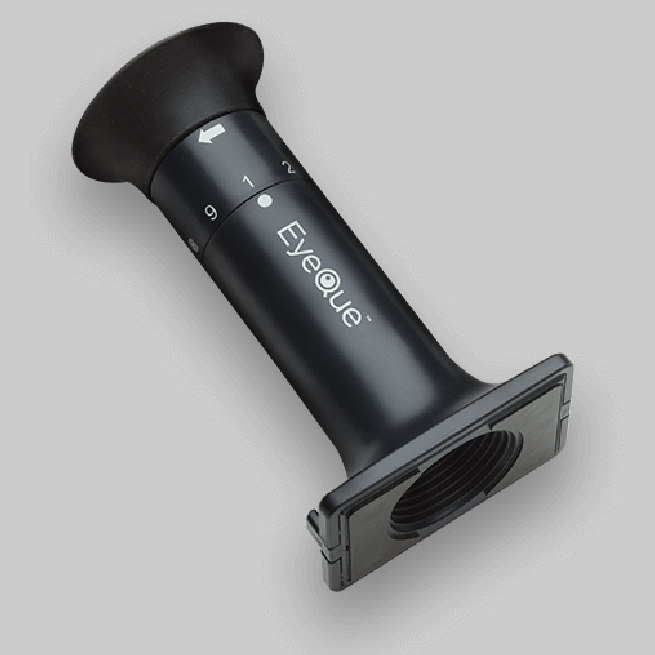 I hope that a system like this will soon make eye measurements much more consumer friendly. My EyeQue lets me see two more lines on the eye chart than the prescription I recently obtained from my optometrist. 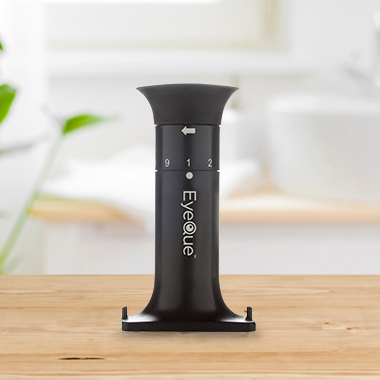 The EyeQue Personal Vision Tracker does exactly what its name implies. It accurately measured my refractive status (eye glass numbers) after I learned how to best use the device. The tutorials were very helpful and improved my test scores significantly! I think the Personal Vision Tracker is a great way to check for vision changes in the comfort of your home. More than 15,000 people have taken vision testing into their own homes so far. In a recent survey, nearly 90 percent of people who purchased eyeglasses using the EyeGlass Numbers generated from tests using their Personal Vision Tracker said their new glasses were the same or better than their previous glasses. See what our customers have to say about their experiences below. 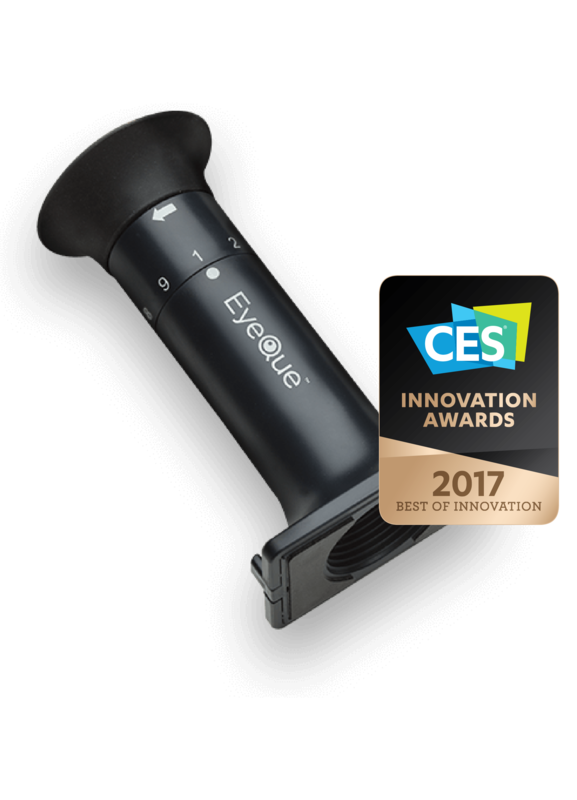 Introduced at the Consumer Electronics show in January 2017, the EyeQue Personal Vision Tracker earned the Best of Innovations award in the Sports, Fitness and Biotech category. Products entered in this prestigious program are judged by a preeminent panel of independent industrial designers, independent engineers and members of the trade media to honor outstanding design and engineering in cutting edge consumer electronics products across 28 product categories. The Best of Innovation honor is awarded to the product that judges feel is the most impressive technology in its product category. Ready to Become Another Happy Customer? Shop for your at-home vision solution now.